It's no secret that the Final Fantasy franchise has been a bit of a mess for quite a while now. Final Fantasy XIII was pretty heavily panned, and XIII-2 was a very divisive sequel. By now a large portion of the audience is just done with the XIII trilogy; they either hate that Lightning Returns exists, or just can't find it in them to care any more. Personally, I rather like Final Fantasy XIII and always hoped that sequels would be able to live up to the potential that I saw. 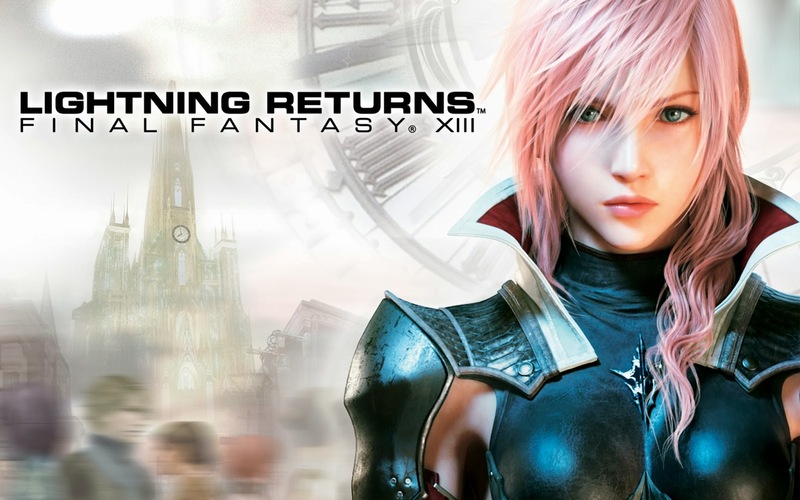 However this time around, Lightning Returns is a very different game from it's predecessors. In this final installment Lightning is going it alone, and she is faced with a fairly open world to explore and interact with. What's more, the game features a 13-day "doomsday clock", which much like Majora's Mask, counts down to the impending... well, doomsday. All these things had me pretty excited for the possibility of Final Fantasy returning to greatness. Having now played the game for 70 hours and completing everything it has to offer, let's break it down. I think that the doomsday clock is the most apparent feature to this game, as it features pretty heavily in both the gameplay and the narrative. The fact that the events of Lightning Returns occur over 13 days is both a blessing and a curse. When the game first starts, I really enjoyed the sense of urgency the doomsday clock gives. It feels like every decision matters, and so does your performance. You don't have the time to grind (in fact, you don't even level up in any way from battles), you just have to manage the resources you have. The problem is that this model falls apart more and more as time goes on. The problem is, you have 13 whole day. We aren't talking some short cycle that you have to do repeatedly like Majora's Mask (or Ephemeral Fantasia for all 2 of you who know what that is), and unlike the aforementioned games, quest progress is the only thing that does not persist if you have to start the clock over. It's quite possible that you will finish all of your main quests by day 5 and have 8 whole days to just chill, which completely removes all urgency from the game. Or maybe you don't manage to complete the main quests and you fail to save the world. You get to keep your stats and gear, but now you have to start over from day 1 and re-do all of the quests. Obviously neither of these scenarios are very good. Thankfully, exploring the world itself is pretty interesting. There are lots of places to go, lots of things to do, and the environments are fairly captivating. Each of the games 4 areas also offers slightly different kinds of quests. For example, Luxerian has Lightning playing detective a lot of the time, whereas the Wildlands involves a lot of monster hunting and plant gathering. I legitimately enjoyed running around completing random quests, and just seeing what the world had to offer... Most of the time anyways. The issue here comes back to the fact that, once the game's main quests are done, things really slow down. Side quests give you much less direction, or else just require grinding for monster bits. Sometimes the result of this is that you end up just wandering around an area without really knowing where to look, hoping to find something you need or perhaps a new quest. Wandering around with a clear objective is one thing, but it feels pretty atrocious to be wandering around desperately looking for something to do or waiting for a certain time of day. Unfortunately the longer into the 13 day cycle you go, the less new quests start appearing, and the more your wandering becomes aimless. Aside from the doomsday open world madness, the other thing Lightning Returns does to change things up is having Lightning go it alone. In place of having 2 allies, she instead has the ability to rapidly switch between a set of 3 customizable "schemata", each wielding it's own equipment and abilities. The level of customization you have is actually quite fun to play with, but in reality I didn't find myself changing my setup too much over the course of the game, save for direct upgrades. As nice as the customization is, I still feel like Lightning being alone really messes with the dichotomy of battle. 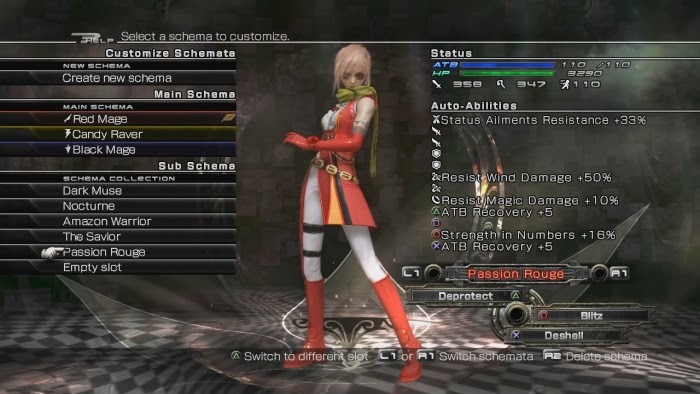 Aside from the schemata system and a fancy new UI, Lightning Returns' battle system actually hasn't changed that much from the last 2 games. Except now Lightning has to worry about doing everything on her own while also being the sole focus of every enemy. Being so restricted can be very frustrating at times, although it does also add weight to your decisions, which is nice. While I think I prefer having a party, there are definitely strengths to Lightning Returns' combat as well. Primary among those is the fact that it feels more skillful. There are a lot of special cases that exist now that reward you for good timing or attacking an enemy in the right place. Combine these with rapidly switching between schemata to use the right ability in the right situation, and it can feel really awesome when you tear an enemy apart. It can feel kind of gross if you don't have the right ability setup for a fight or you are waiting on the ATB for schemata #3 to refill, but I think the annoyances and the badass moments more or less cancel each other out. And with all that said, I think all that's left to speak on is the story. Normally I try not to talk much about a game's story, but this time I thought I would make an exception. Final Fantasy has been known to have pretty ridiculous plots in the past, but the previous two XIII games were considered by many to be particularly bad. The plots were just weird, the characters were weak, and XIII-2 in particular had an ending that I personally consider to be a slap in the face to the player. 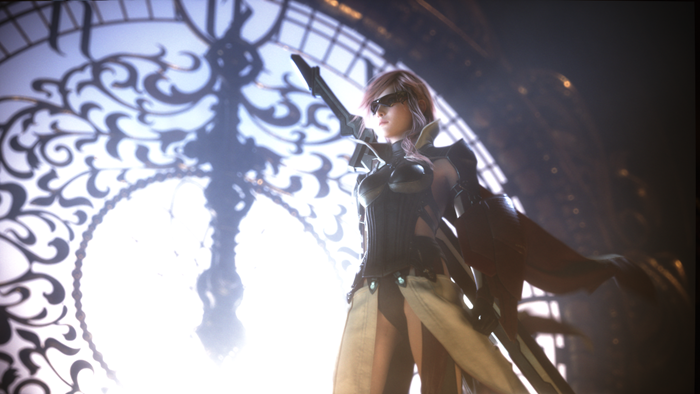 Lightning Returns was supposed to be a proper ending to the trilogy, and I suppose it is. Kind of? If you are paying attention, it does give some closure to the absurdity that is XIII-2. The fact of the matter is Lightning Returns turns the weird up to 11, and despite being predictable, just kind of stops trying to explain what's going on. The game's plot felt kind of superfluous to me, really. What I did find interesting was the world though. Every person living in Nova Chrystallis has lived for 500+ years without aging at this point. That creates some pretty interesting scenarios, which I think the game did a pretty good job of exploring. Lightning is still a flat and uninteresting vessel, and the game is definitely too expository for my taste, but I still found the world interesting. I couldn't tell you what happened in the ending cinematic, though. Lightning Returns is just a really weird game, honestly. It has a lot of really strong points, it has a lot of really weak points. There were points where I was really enjoying myself, and there were points where I just wanted it to be over. It's not the game I was hoping it would be; I think it would have been a lot better if the doomsday cycle was a lot shorter or didn't exist at all. The combat was different, and interesting in it's own way, despite creating some new annoyances. The world was really well built, and even though the plot is absolutely ridiculous, what JRPG isn't? It's definitely not a game that everyone will enjoy and it's a bit of a mess, but in the end of the day I still enjoyed my time with Lightning Returns.